The versatile Smooth Column with matching capitals and bases compliment any home or estate entry. 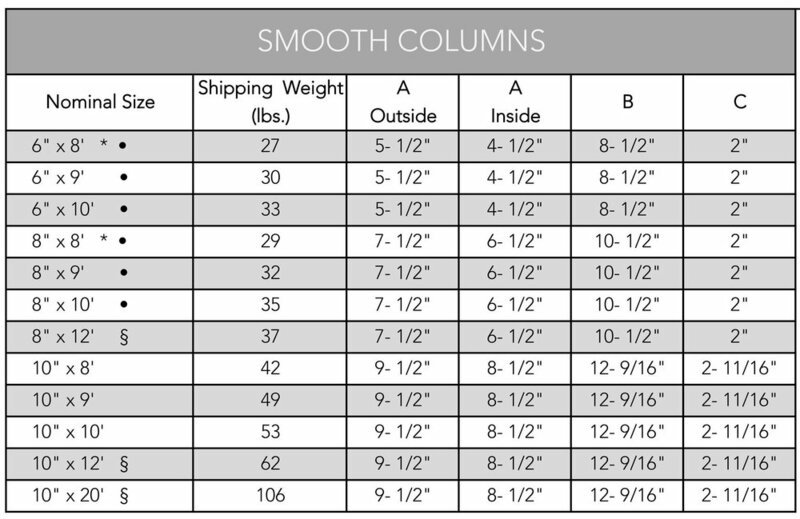 These structural columns are offered in 6”, 8” and 10” widths. DSI is the only aluminum column supplier to receive PCI 4000 A2 & A3 certification from the Powder Coating Institute. All columns are verified AAMA 2604 compliant. An optional AAMA 2605 upgrade is available by special order.